Hello everyone! 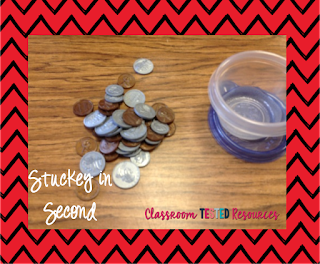 It's Allison Stuckey from Stuckey in Second. 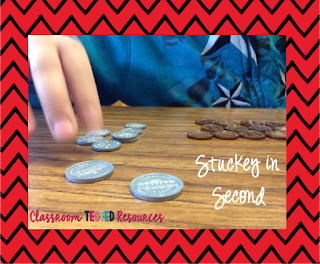 I always love coming over here to Classroom Tested Resources to blog and share some ideas! Today I'm going to share THREE quick and easy math games that are my GO-TO games for many occasions. 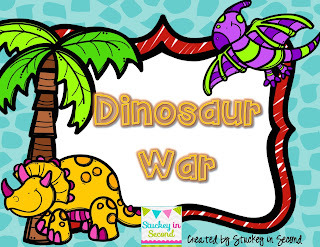 Basically these are the kinds of games that I teach my students at the beginning of the year, they master them, then sometimes we can change them around to make them more difficult as the year goes on, but overall, they know the steps to play the game and they are a good "go-to" when you need something quick and easy! They let students practice number sense. You can easily differentiate these to different grade levels, too! I will focus on what I do in 2nd grade, but I'll add in ideas of how to make them easier or a little bit more difficult! Let me just say here that none of these games are my own original ideas. I have probably adapted them some since the first time I learned them, but I first learned them through the Everyday Math series. One of my favorite games is Coin Top-It. I think it's important in second grade to practice this game all year. 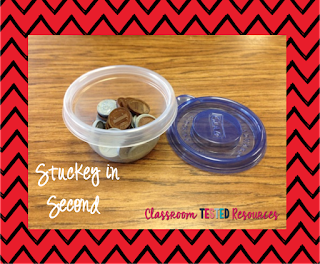 It may be difficult at first, but you could start out by only having pennies and nickels in the containers. 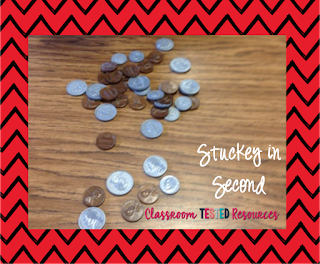 Where I teach, we don't get to coins until the spring, so I think it's important to practice this all year long because I just happened to know that the short time we do have to teach it is never enough! The students determine who will be heads and who will be tails. 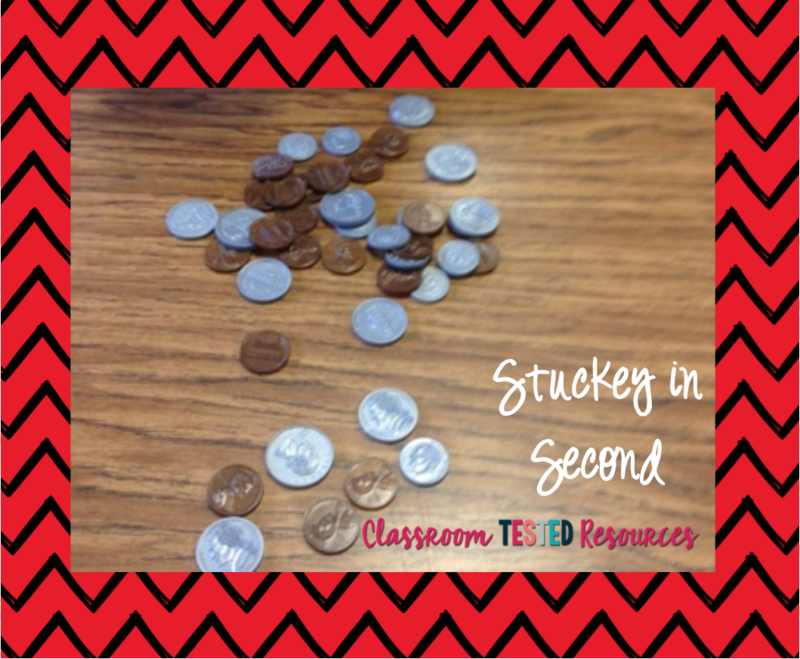 The students "dump" the container of coins out onto the carpet or desk in front of them. The student that is heads takes all of the coins that are "heads up" and the student that is tails takes all of the coins that are "tails up." Next, they count up the amount of money that they have. The person with the most money wins! Then, students put the coins back in the container and play again! See how this could be played quickly any time, especially if you have the coins already prepared in containers? Perfect for early finishers, too. You would just tell two students that are finished to go grab a container and go to a quiet area to play! I'm sure that most of you have your students play some version of this game already. I just wanted to share for those that don't, just in case, because it's so fun and easy!!! 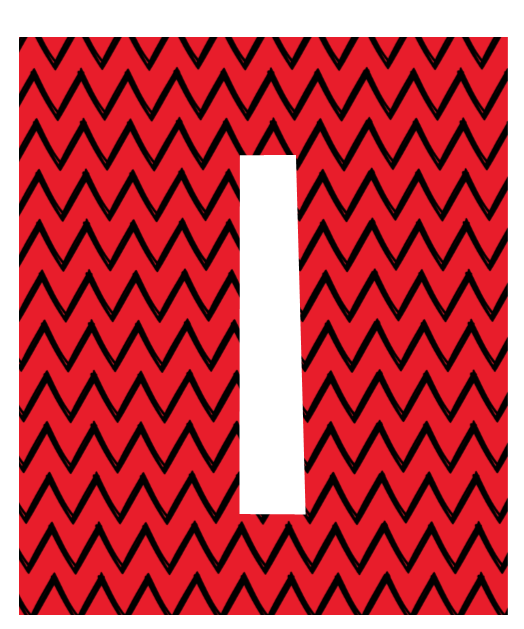 All that you need a set of cards! The students lay the cards in a pile face down between them. 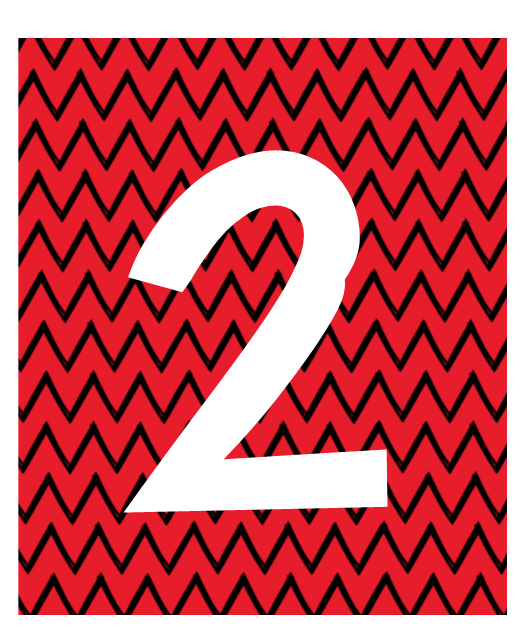 Then, they each draw two cards. 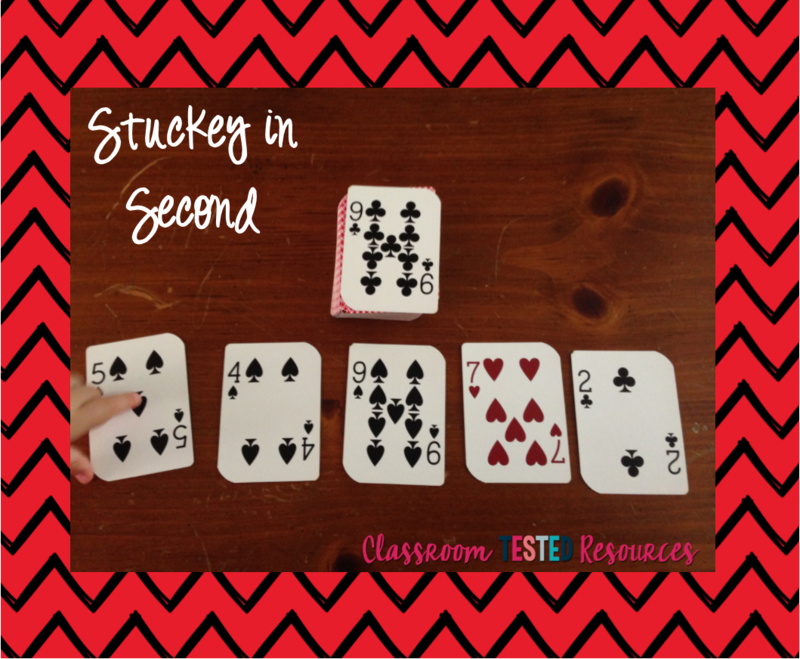 Each student adds up their two cards, the student with the higher sum gets to take all four cards (theirs and their partners.) The student with the most cards in the end wins. 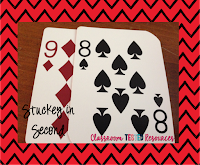 I also teach students that they have to say a number sentence to go along with the cards they draw. For example: "Nine plus eight equals seventeen." and "Five plus ten equals fifteen." Then, the person with the higher sum has to say a comparison sentence in order to get the cards: "Seventeen is greater than fifteen." Just like Coin Top-It, the kids love it and it's super easy to have early finishers grab a deck of cards and play! Also, great for indoor recess where they get excited to play games, yet they are practicing essential math skills. For younger grades, I'd simply do more of a "war" version where they just turn over one card each and decide which number is greater. You could have them verbalize a comparison sentence too. 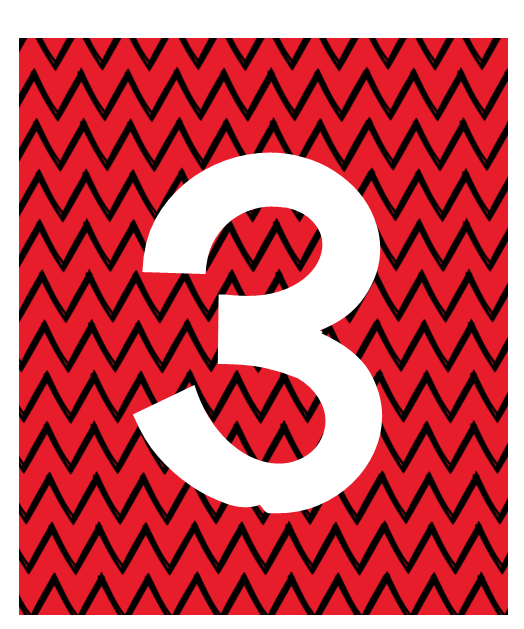 "Three is greater than two." I originally learned this game while using the Everyday Math series. I'm not sure that I still use the same directions and I think I may have modified it slightly because I honestly don't remember the exact Everyday Math directions. Put students with a partner. If you have to play with more than two students in a group, that's okay too! 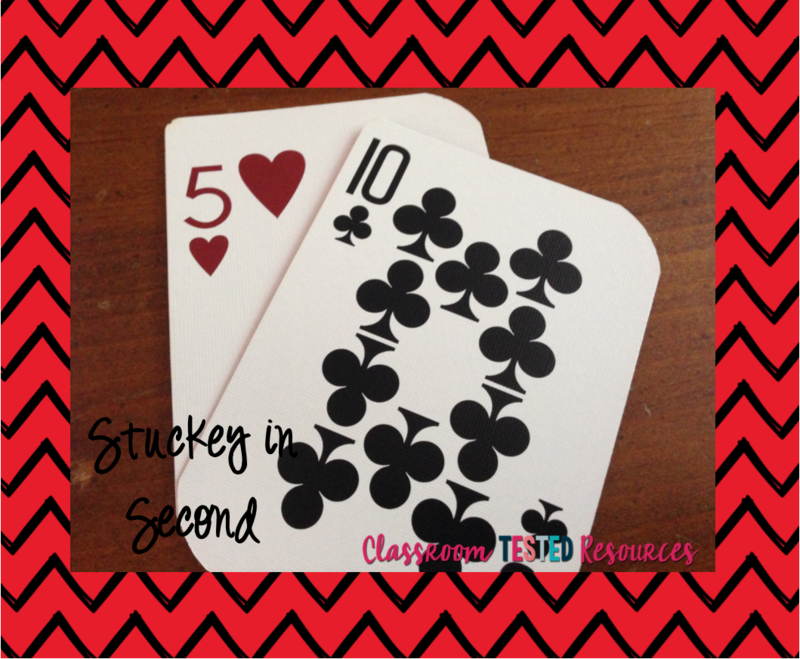 Give students a deck of cards. Next, turn over the top card in the deck, that's the number you are "trying to name." Now, with the 5 cards that they have turned over, students try to "name that number." You can either have the students take turns, or have them work at the same time and just whoever finds one first gets to take it. 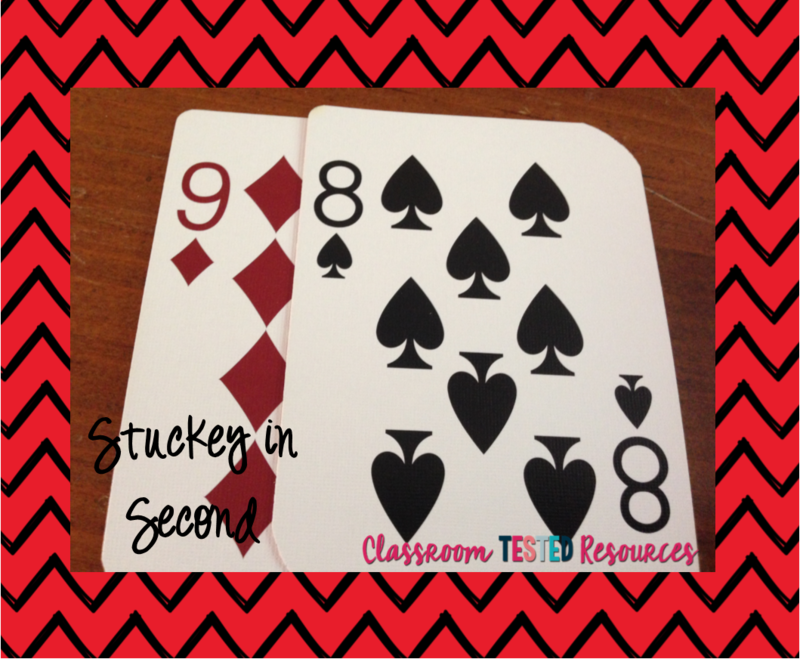 It can be a pair of cards that add up to "that number" or it can be more than two cards. Students can also choose to add, subtract, or multiply, depending on their level. They may even do more than one operation in one "Name that Number" set. When trying to name 9, this student chose "5 plus 4 equals 9." When trying to name 9, this student chose "7 plus 2 equals 9." You can be very flexible with the procedure and if they can't find one, add another card or change the "number to name." Also, adding a few more cards will give a better chance for them to find one. 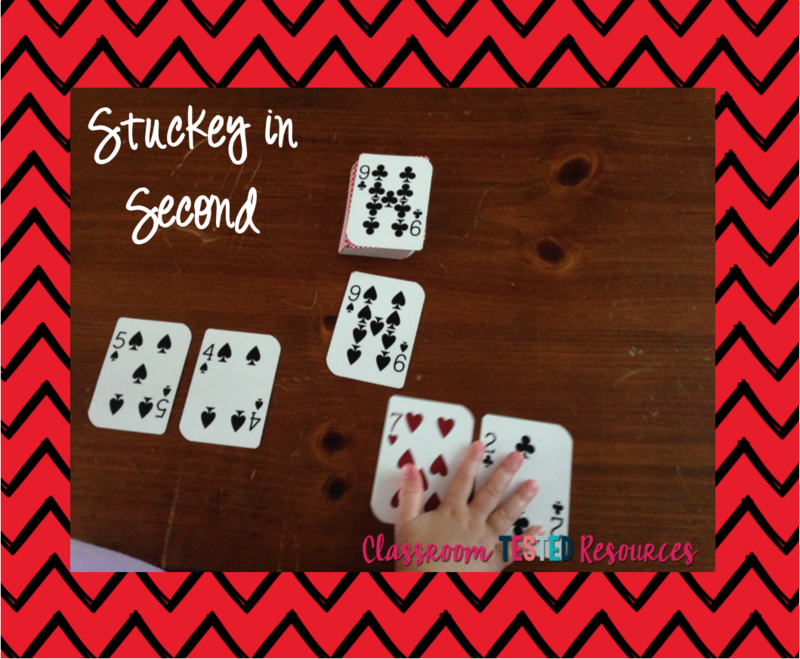 Once they get the hang of it, they will really come up with good ways to "name the number" and you can even challenge them to try to use all of the cards in one number sentence! Again, an easy "go-to game" that you only need a deck of cards for. They can play with a sub, at home, at indoor recess, or in a math station. QUICK and EASY for the teacher, after you teach them how! 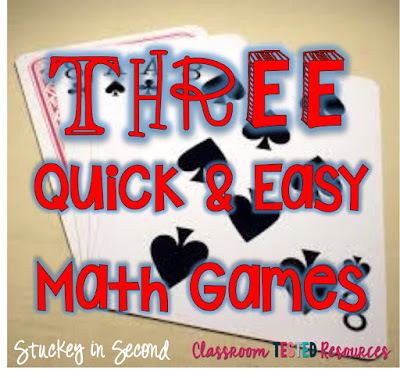 For me, one of my first tasks at the beginning of the school year will be to teach my students these three QUICK AND EASY math games so that I can ensure they are playing them all year and practicing that number sense. Thanks for reading today and please check out the freebies that I have in my store below. Also, don't forget to check out TPT today and tomorrow for the big Back to School sale! Enter the Promo Code BTS15 for an additional 10% off everyone's sale prices! 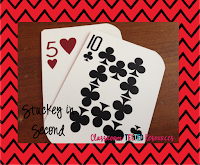 These take a little more prep and are a little more of a "novelty" for the students, but they are basic skills that could practiced just with playing cards too. Click on each picture to find them in my store for FREE. 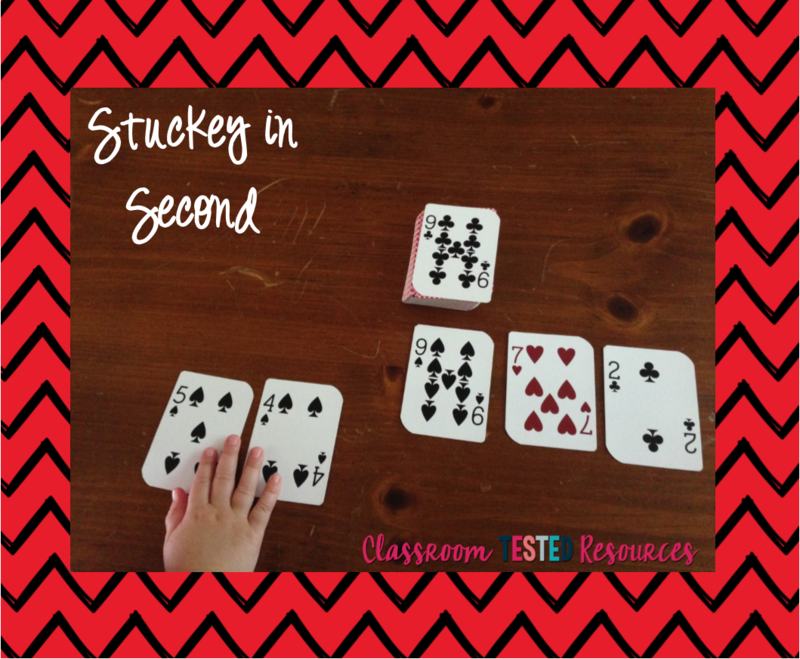 If you enjoy my math games there, check out my store for more! I'd appreciate feedback!